A credit card is the primary way most people pay for their items. From shopping online to grocery shopping, it’s easy to wipe out a piece of plastic and slide it through a machine without a second thought for how much you’re spending. Credit cards are a great commodity because you can continue to purchase any type of item even if you don’t have the money to afford it. You don’t have to worry about counting cash or if there’s enough money in your bank account because you can worry about paying later on. As a business, it’s essential that you provide access to credit card services. Don’t you want your customers to have a simple experience purchasing your items? Don’t you want to draw in customers because you provide these merchant services? When you come to Journey Business Solutions to outsource your merchant services, you’re able to take advantage of everything we have to offer and one of those features is credit card acceptance. In today’s blog, we’ll be going over some critical information you should know about credit card processing. 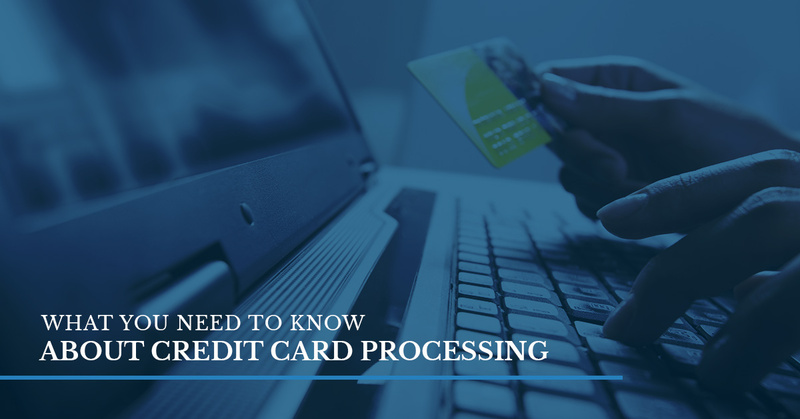 Credit card acceptance can be a little confusing when it comes to the process and who is involved, so it’s essential that you go over this information. If you’re a business who already has credit card processing, then take the time to go over some of these critical tips to ensure you’re getting a great deal on merchant services. While it might be easier to not take credit cards and not to mention less expensive, giving your customers access to this service is very beneficial and will increase your profits in the long run. The first critical tip we want to mention is that it is essential to ensure your business is protected. As a small business ourselves, we strive to give other companies who are like our’s advice on how to stay clear of certain tricks such as pricing. When it comes to pricing, you’ll find that it’s a very complicated in the payment processing industry. Many companies claim that their rates are very low, but they turn out to be more expensive than you would think. When you sign onto merchant services, you should be aware that it might not be what you expect. One thing you should be aware of is not cutting right to the bottom line. Don’t just sign because it sounds good, take the time to read through the three pricing models of this industry. At Journey Business Solutions, we pride ourselves on being transparent. As a small business, we understand the struggles and obstacles you go through on a day-to-day basis, which is why we will go over everything you need to know without hiding anything. The second tip to remember is that increases in pricing should not happen. You might think that it’s normal for your processing rates to increase, but even though it might be a common practice, it shouldn’t happen and you shouldn’t accept it from happening. When your rate increases after you sign an agreement, you should put up a fight if it ever changes. Like when you sign any agreement, it’s important that it’s honored. By increasing your rates, the agreement isn’t honored and it’s frankly not fair. While there are some rare situations when a rate will increase because it’s warranted, you should still fight back when you hear your fees are going up. Another critical tip to know about credit card processing is who is involved. What parties are involved in credit card processing and who is accountable for certain areas? The first thing you should know about credit card processing is that there are many parties who are involved. You don’t just swipe a card and then it’s processed, the parties that are involved each play a part in where the money comes from and how something is charged. There is an entire process behind what you might think to be a simple procedure. You’ll find each party listed below and what part they play in making a purchase. Merchant: The owner of the business will accept the payment of the products. Cardholder: The person who is paying and using a credit card. Card Association: This is the type of card you own. If you have a Visa, Mastercard, American Express, or a Discover card, then this is the card association. It’s not the banks, but the people who set the interchange rates, maintain and improve the networks, and who adjudicate between the banks that are issuing and acquiring. The card association is usually a governing body who sets these boundaries. Acquiring Bank: The bank of the merchant. The acquiring bank is who is in charge of the merchant’s funds and who retains the money from the sale. The bank will accept the payments when the card has been authorized and then it’ll be deposited into the bank of the merchant. Issuing Bank: This is the bank of the cardholder. The bank will give cards to the consumers and a part to the card associations. The bank will issue the payment to the acquiring bank for the items bought by the cardholder. The cardholder will then have the duty to pay the amount in accordance with the credit card agreement amount. Payment Processor: The payment processor is the company that handles the batching of the items bought as well as the processing made by a gift card, debit, or a credit card. This company generally is the one who assists with the technology, customer service, and is the in acting middleman between the banks and the card associations. In this case, Journey Business Solutions is the payment processor. What Merchant Services Can You Receive At Journey Business Solutions? These are just a few critical tips that you should be aware of as a business. For more information about merchant services, contact Journey Business Solutions.